Bernie Connell graduated with a first in Early Childhood Care and Education in 2015 from the Carlow Institute (H Dip Level 8). She has also completed a mentoring and leadership program in conjunction with Early Childhood Ireland and South Dublin Childcare Committee. In her role managing a busy community childcare centre for seven years she oversaw the centre’s involvement with two key research projects both the NEYAI (National Early Years Access Initiative) and CDI (the project based in Tallaght West Childcare Development Initiative). 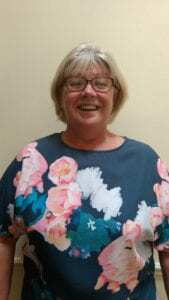 Bernie has worked as a tutor with Kildare Wicklow ETB tutoring for the past 10 years and previously has a BA (hons) in languages Spanish and French and has a background in accounts having an accounting technician qualification and has worked in private industry for many years. A committed life-long learner Bernie believes in nurturing the seeds of education in children from the earliest stage possible.